Declan Kidney played for Dolphin before he took up his first ever senior coaching post with the club, and eventually led them to the top division of the All-Ireland League in 1997. Kidney would go on to coach Munster to European Cup glory before he took charge of Ireland and helped them to their first Grand Slam in over 60 years. Now the Cork native is director of rugby at London Irish, and his new club will soon welcome a group of Dolphin youngsters to the English capital. "Declan will be over there on the Sunday. London Irish have a match on the Saturday and we go to them on the day after that for the underage tournament. 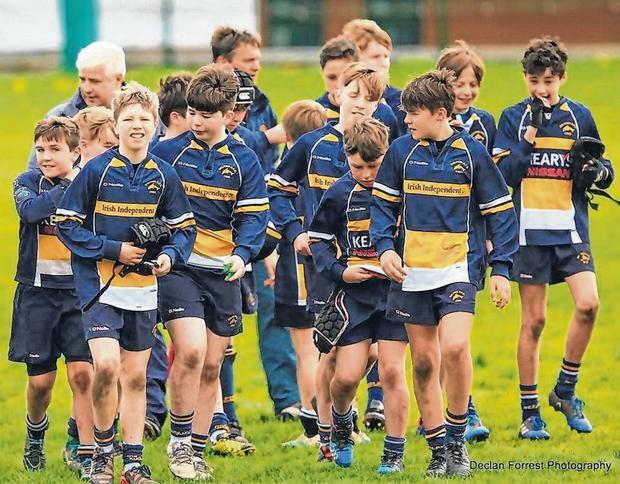 He will present medals to the young fellas," says Dolphin RFC president Suzanne Reidy Murphy. She is a Dolphin native, and although she resides in Bandon with her husband Jimmy Murphy now, Reidy Murphy still lives and breathes the club. Her father, Gerald, was a former club president on two occasions, including during Dolphin's centenary in 2002 while her mother, Ann, was involved in catering for the club for almost 30 years. "I was a kid in Dolphin and grew up with my parents at the helm over the years," says Reidy Murphy. "Dad played for Dolphin, Munster and Ireland over the course of the years but Dolphin was his heart, and it was where we were all brought up. "I played once on a ladies team when I came on as a sub. But I just grew up on the sideline and then when I was old enough I was helping my mother out with the catering. "She went in and formed a fantastic ladies committee which was second to none. They were the envy of clubs all over the place. The food they gave was the envy of a lot of the clubs in the country." Dolphin was formed by members of the famed Dolphin Swimming Club in 1902, and they call Irish Independent Park their home now, alongside Sunday's Well. Jackie Cashman is the first woman to be president at Sunday's Well while Reidy Murphy is also proud to hold that position at Dolphin. "I am the first woman president here in Dolphin and I am extremely proud of that," she says. "I am extremely proud of the history of mom and dad's involvement and being the first ever to be the second-generation president, a child of a past president. "But I have an incredibly supportive husband who doesn't play rugby because he is a sailor. He is my rock and he is supportive and understanding. I would be lost without that support." And Reidy Murphy knows that support is vital when it comes some of the busiest times, when Munster and the Ireland U-20s come to town. Irish Independent Park has just recently become the home to the international side while the province continue to split their games between Cork and Limerick. "The Munster games are the bread and butter for us because we can open our clubhouse bars," says Reidy Murphy. "We can look after the clientele. We have busy nights at those times and that is great for us. It is great boost and it is fantastic that the Munster branch is getting so much for Cork. It is like bringing it home. "I am still the clubhouse manager and bar manager for the team that are in the bar. For me, it's a busy night. I only get glimpses of the matches because we are kept busy. "I meet an awful lot of people that are coming in that are familiar faces. They love coming into the warmth of our clubhouse. Our clubhouse really hugs you, it welcomes you. "I would be there on a Thursday taking deliveries of stock in the morning for about four hours and prepping for everything. Then I get there at 2pm on the day of a match and wouldn't leave again until midnight. "The IRFU asked for the use of our clubhouse for the presentation of the caps of the new players. They were all presented with their caps which was a proud moment for us. "It was fantastic to see them coming into the clubhouse with their blazers, it's great." 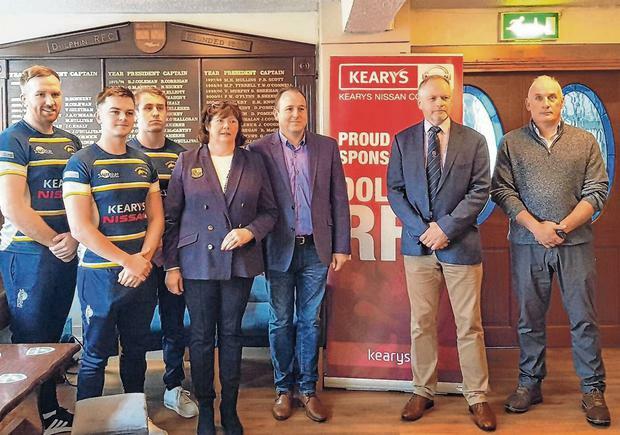 Reidy Murphy clearly loves the game of rugby, while she dreams of the Dolphin senior team returning to the upper tiers of the All-Ireland League. Dolphin are seventh in Division 2A before they make the trip to take on Galwegians at Crowley Park this weekend. It has been a tough couple of years for the senior team but Reidy Murphy is confident they can return to prominence, which would allow some bigger names to join back up. "I just love the sport of rugby. I find it fantastically interesting. It's diverse because the age goes from minis, to six-year-olds and onto the seniors," says Reidy Murphy. "Then you have the professional game. You have so many diverse competitions within it. You have the Champions Cup, the PRO14, the internationals. It's incredible. "But while the professional game has been fantastic for the development of rugby. The club is my passion, and the survival of the clubs is paramount for me. "We have a lot of youth teams. We want to keep those players. No matter what division we are in, we would still want all of our players whether provincial or international. "It would be great if they still would be allowed to sign with our club. That has been a rule that they can't play for a team in any other division other than 1A or 1B. "Rory and Niall Scannell were all fostered and brought up in Dolphin surrounds. Their family have been involved hugely with the club as sponsors. "Our aim is to get back up to the first division. "This is our first year, since the inception of the AIL, we are down in a second division and we want to get back up there." Rúaidhrí O'Connor For the third successive season, Munster have fought tooth and nail to get themselves to a Champions Cup semi-final. Rúaidhrí O'Connor Johann van Graan has left the door open for a surprise Munster return for Ronan O'Gara and Paul O'Connell. Ruaidhri O'Connor JOHANN VAN GRAAN has left the door open for a surprise Munster return for Ronan O'Gara and Paul O'Connell.